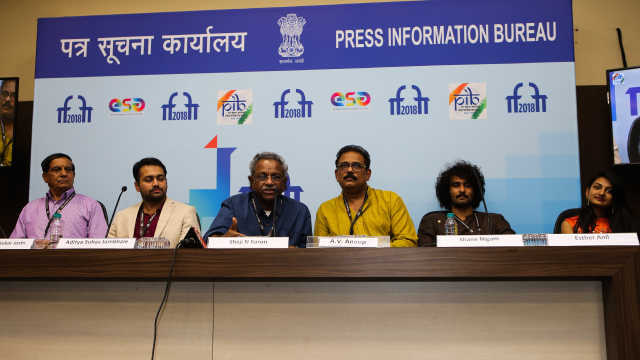 The veteran filmmakers say the process of selection and the many agents involved has made it difficult for Indian films to go to international festivals. Jayaraj, Shaji N Karun, Srijit Mukherji. Two masters, one promising director. With one thing in common. All are winners of the National award. Shaji had won the National award for his very first film Piravi (1989), Jayaraj won for Bhayanakam (2017) while Mukherji’s Jaatishwar (2014) picked up four awards at the 61st National awards. The two veterans and Mukherji came together on one stage for a session at the recently concluded 49th International Film Festival of India (IFFI) 2018. The session was moderated by film critic and author Saibal Chatterjee. Ideally, with Jayaraj, Shaji and Mukherji in the house, film enthusiasts would have expected the session to be like a masterclass. However, much of the conversation was about the undue importance we give to festivals like Cannes and how digital platforms threaten theatrical business. Chatterjee opened the session asking Shaji the importance of having a film in the Indian Panorama. Shaji's Malayalam film Olu was the opening feature in the section at IFFI this year. The director made a strong statement that at a film festival like IFFI the selection of Indian films should not go into private hands. “Having a film festival under the government, probably with public money, is very important," he said. "The money is spent by society for uplifting culture. This culture should not go to the private sector, that is what I grew up with. Jayaraj was of the opinion that such festivals are an ideal platform for filmmakers. Indian Panorama is the right platform for that, especially for youngsters, he said. 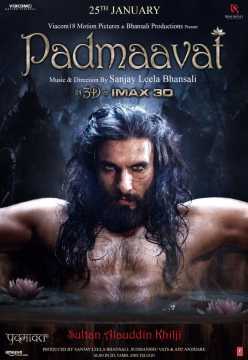 Jayaraj, though, pointed out that earlier films selected in the Indian Panorama were aired on the national broadcaster, and the filmmakers made some money, but now private digital platforms like Amazon and Netflix have changed the game. 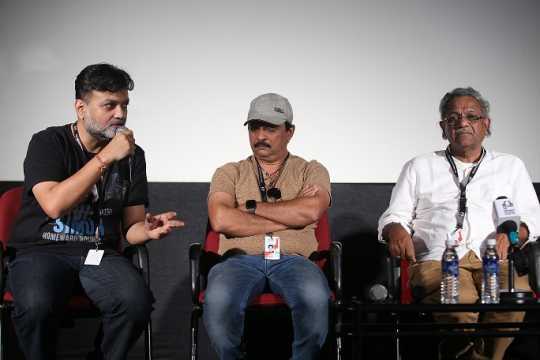 While filmmakers make money through these international over-the-top (OTT) players, Jayaraj pointed out how getting your film on to these platforms has become very tough. “Approaching Netflix, Amazon and other players is very difficult," he said. "That is because there are a lot of agents out there in the market. Now we don’t know whom to meet. We must have a separate platform for Indian Panorama. As Shaji said, it [the festival] should be with the government." The moderator pointed out that Malayalam and Bengali cinema had raised India's profile globally. Shaji's Swaham (1994) had competed at Cannes. It was, incidentally, the last film to have competed in the main section at Cannes. Chatterjee asked the panel why India had dropped off the radar of film festivals. Shaji suggested it was necessary to understand who runs these festivals now. “To me, they were the philosophers of cinema," he said. "They had an idea of how cinema should grow. The people at Cannes then were people who understood the pain of war. "The second generation, though, led a comfortable life, a comfortable way of looking at everything. Now there are certain festivals, they are catering to the Oscars. They proudly say that this festival helped discover that film for the Oscars. But if you think Oscars is an interpretation of world cinema, it is just a local competition, not even one-third of the world speaks that language [English]. Oscars is marketed in the world in different languages." The Bhayanakam filmmaker also pointed out that now many film festivals are keen on India, but they charge an entry fee. Many Indian filmmakers would pay the fee, but thereafter there is no response. Jayaraj didn’t shy away from calling this a cheating business. Mukherji wasn’t too critical of the festivals, but spoke of how someone like director Anurag Kashyap had managed to pierce these markets. “Anurag Kashyap would travel to these places, where these selectors are. He would give interviews and create a buzz around his films in these countries much before the festival," he said. "One must have a marketing company and then make a film," he continued. "I’m not saying those [Anurag Kashyap films] are better films, but they are packaged and marketed better. Having said that, we can’t keep Cannes, Oscars, Berlin, Locarno as the holy benchmark, judge of our films." The Begum Jaan (2017) director suggested that perhaps the time has come for Asia to have its own Oscars. “Very soon, I see the Chinese coming up with their version of Oscars. When that happens it will be very difficult to say my film is not doing well because it is not going to the Oscars. I think that is unfair. 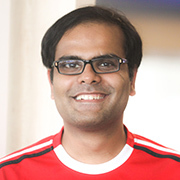 "Whether your audience is from a particular district in France, or from a particular district in Kerala, I wouldn’t like to make any value judgement on the quality of that audience. I cannot say that since a district in France is not watching my films, districts in Kerala are watching my film and so my film is inferior,” said Mukherji. The conversation then veered towards the digital platforms, where Indian content is growing gradually. Mukherji felt that these platforms pose a threat to cinema and there is a risk that they would become museums. Jayaraj was optimistic that cinema would survive the current changes. “Recently, I came across a film, can’t recollect its name. I was something related to Walt Disney. They were going to release the film and just a few days before the release Amazon or Netflix purchased it. The biggest problem for cinema today are Netflix and Amazon. We have film technicians seeking the comfort of working in web-series. Despite all this, I’m sure cinema will survive,” the director said.